Our goal is to connect people with the best local experts. 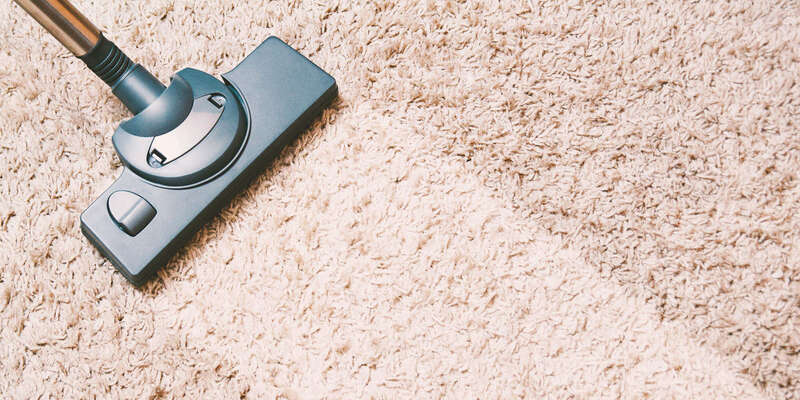 We scored carpet cleaners on more than 25 variables across five categories, and analysed the results to give you a hand-picked list of the best carpet cleaners in Redlands, CA. Carpet Tech Cleaning Specialists offers top-of-the-line cleaning solutions to customers throughout San Bernardino County, California. They are locally and family-owned and have been in business for nearly three decades. No matter if the job entails pet odors or impossible stains, the expert cleaning specialists have the experience and expertise needed to effectively, efficiently, and affordable restore carpets and other surfaces. They specialize in steam cleaning, flood damage control, and allergen removal. Carpet Tech Cleaning Specialists offer a wide variety of services including thorough carpet cleaning, deep steam cleaning, pet odor removal, oriental rug cleaning, carpet repair and re-stretching, water damage restoration, tile cleaning, and car, boat, and RV cleaning. They also offer free estimates on all services and are available 24/7 for emergency cleaning needs. Esmerio’s Master Carpet Care, Inc. is located in San Bernadino, California and has been serving the Inland Empire and surrounding area since 1994. They cover cleaning of carpet, tile, grout, and upholstery with a free in-home inspection for new clients. With several different packaged service that includes an option for those with extreme allergies and a 100% satisfaction guarantee, they provide thorough cleaning and restoration. Their clients recommend them as prompt and courteous, stating that the quality of service and the drying time afterward are both excellent. Their technicians are IICRC certified and have a one hour response time during business hours, ensuring that their clients get the best service at the best prices. Floor Cleaning Pros is a veteran and family-owned and operated company which has been offering floor cleaning services to clients in Colton and the surrounding area since 2004. The professional cleaners at Floor Cleaning Pros have perfected their floor care procedures so that they can handle the challenges of all kinds of floors, whether homes or restaurants or industrial sites. Residential services include upholstery cleaning, area rug cleaning, and utilize deep carpet cleaning extraction techniques which disinfect and deodorize with solutions that are safe for pets and children. Floor Cleaning Pros provides commercial customers with cleaning, waxing, and buffing for floors in break rooms and offices, scrubbing and sealing for kitchen and restroom areas, professional cleaning for carpeted areas, and washing and polishing for epoxy or warehouse floors. Based in Redlands, CA, O’Neil Carpet Cleaning also serves the surrounding inland areas, including Palm Beach, San Bernardino, Loma Linda, and Riverside. The owner-operated company specializes in cleaning carpets, upholstery, tile, and grout. They use a hot-water extraction method, which infuses a non-toxic cleaning solution with the water for deeper cleaning, especially into carpet fibers. Their truck-mounted equipment extracts 95 percent of all dirt and water. This method removes dirt, dust mites, allergens, and other pollutants. Their tile flooring cleaning service includes an optional sealant to help keep the tile clean. The company offers free quotes, and 24/7 emergency service is available. Pineda Carpet Cleaning is a professional carpet cleaning company serving the community of San Bernardino, California. Pineda Carpet Cleaning specializes in residential and commercial carpet cleaning. They offer a range of services including spot treatment, pet odor and stain removal, carpet repair, tile and grout cleaning, furniture and upholstery cleaning, Scotchguard protection, steam cleaning, and dirt removal. They also provide commercial carpet cleaning services for many property types including restaurants, offices, churches, and high-traffic areas. Pineda Carpet Cleaning offers 24-hour carpet cleaning services and uses quality chemicals that are safe for pets. They also offer Spanish and English-speaking trained professionals. Sun N Plum Carpet Cleaning provides cleaning services to the residents of San Bernardino, California. Their technicians are licensed, and customers are given a satisfaction guarantee. They supply carpet, upholstery, air duct, and tile cleaning using environmentally friendly products that are safe for children and pets. Technicians have extensive knowledge on different varieties of carpet and upholstery and use the best techniques to keep them safe from damage. Sun N Plum Carpet Cleaning is available 24 hours every day for flood and fire damage, and technicians thoroughly inspect damaged areas to fully restore homes to their previous condition. They offer coupons and promotions to their customers to guarantee affordable cleaning services. Unlimited Carpet Care, located in Redlands, California, is a full-service, family-owned and operated business. For more than 25 years, they have been giving customers healthy and safe indoor living spaces. The team of IICRC certified technicians works to promote the industry standards for cleanliness and self-conduct, and they take great pride in exceeding all customer expectations. All products and cleaning solutions used at Unlimited Carpet Care are environmentally friendly, biodegradable, and completely safe for children and pets. The experts at Unlimited Carpet Care specialize in carpet cleaning, upholstery cleaning, area rug and oriental rug cleaning, tile and grout cleaning, grout sealing, floor stripping and waxing, air duct cleaning and sanitizing, pet stain and odor removal, mattress cleaning, hardwood floor maintenance, and 24/7 emergency services. VIP Carpet Cleaning provides professional carpet cleaning to residents throughout Redlands and the surrounding areas. The company is known for its attention to detail and excellent results via steam and dry cleaning methods and is dedicated to removing all dirt, soil, odors, allergens, and other irritants to create a clean and healthy indoor environment. Potential customers can review the entire process used for a carpet cleaning service on VIP's site, and crews can also handle the cleaning of upholstery, tile, and windows. Clients appreciate fast response times, competitive rates, and carpets that look like new after a cleaning is completed, the company services both residential and commercial properties, and individuals can phone or submit a form via the company's website for scheduling and additional service details.